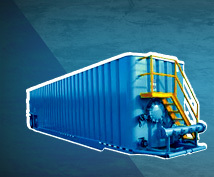 Frac-N-Vac high performance chemical storage tanks deliver a cost effective storage solution with a higher margin of safety and longer tank life than commodity storage tanks. 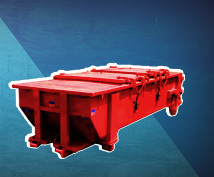 Our tanks offer superior durability, chemical resistance, corrosion resistance, and reduced maintenance as compared to more costly alternatives such as steel and fiberglass. Our high density crosslinked polyethylene tanks are designed to provide reliable service for specialty applications such as Sodium Hypochlorite, Sulfuric Acid, Caustic Soda, and Hydrochloric Acid for the water treatment and chemical processing markets. 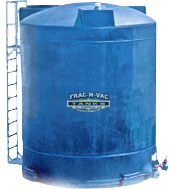 Frac-N-Vac offers vertical (upright) plastic tanks that meet or exceed ASTM D 1998 standards. We have a variety of vertical tanks in stock and can obtain custom sizes upon request.